What will Doctor Carpet do with your rug? We have a wealth of experience in cleaning rugs made of various materials, most commonly wool and synthetic, but also more delicate materials such as silk and viscose. Our refined skill and state-of-the-art equipment enables us to provide your rug with a thorough clean, thus restoring its rightful illustrious state of being. In certain cases, we can rejuvenate rugs ‘in situ’, yet more often than not it is necessary for us to take them away to be cleaned off-site. Due to the multi-faceted nature of the cleaning and drying process, depending on what type of rug you have it is often altogether more practical for us to carry out the work away from your premises. We will, of course, consult you about this before any decision is made. Firstly, we need to rid the rug of any loose dirt. In order to do so, we begin by thoroughly vacuuming both sides of it. We then beat the rug, forcibly removing any larger substances or items that may be lurking within the pile. Lastly, compressed air is used to air dust the rug, relieving the material of smaller particles. Next, if needs be, we carry out a colour test. When dealing with rugs that contain intricate colours (predominantly of the traditional variety), dye bleed tests need to be undertaken to check for loose dyes so that any potential colour run can be avoided. There are certain rug types – Afghan, for instance – which are particularly prone to ‘dye migration’ and therefore require the utmost precision when it comes to cleaning. Carelessness can cause the rug to be ruined yet meticulous testing, coupled with the correct cleaning approach, performed in a controlled manner, will result in all colours remaining intact. Then it is time for the all-important cleaning stage. Initially, we check for any contamination within the fibres, namely of urine and odours most commonly found among households containing pets and children. We rigorously sanitise all affected areas and leave them to soak until we ascertain the rug is hygienic. Following this is the important task of determining the appropriate cleaning method. When it comes to cleaning, varying rug styles each have their own different needs. Factors such as what stains the rug has suffered (if any), the extent of the soiling, whether it contains any loose dyes and the material it is made from are all taken into consideration when deciding which cleaning method to employ. When dealing with delicate materials, such as viscose or silk, ‘low moisture’ techniques are applied due to the water-sensitive nature of the fabric. Conversely, for more hard-wearing rugs, such as those made of wool, cotton or synthetics, we use powerful deep cleaning methods involving hot water, or ‘full immersion’ techniques for heavily soiled rugs in need of intense sanitisation. Depending on how great the build-up of dirt, sometimes it is necessary for us to carry out several cleans, or even a combination of different cleaning styles, to completely rid the rug of all its filth. When it comes to cleaning, varying rug styles each have their own different needs. It is vital to treat the rug with anti-stain protection to provide it with the best chance of maintaining its cleanliness and condition post-clean. 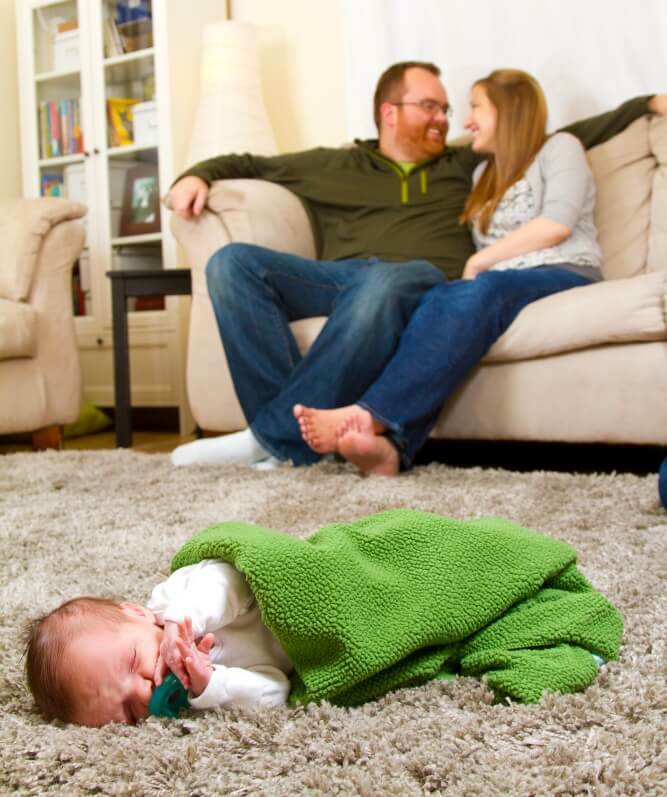 Using the appropriate professional protective solution for your rug, we build a resilient barrier on its surface, guarding the material against dirt infiltration and stains. A double coating is applied, both of which are brushed in to ensure all the fibres are wholly covered with the treatment. To finish, we groom the rug to set the pile – especially important where hand-woven rugs are concerned – and begin the drying process. Pile density is much higher amongst rugs in comparison to carpets, so rugs do usually take longer to dry. It is essential for us to dry the rug quickly to avoid any issues concerning bacteria growth, bad odour, dye migration and discolouration. Air movers and dehumidifiers are put to action to ensure rapid drying, which also serves to cure the anti-stain. With varying types of anti-stain treatment in our arsenal, specifically tailored to different kinds of material, we can protect your rug regardless of what fabric it is made of. Our solutions, coupled with our handiwork, serve to build a resilient barrier on the fibres of your rug, shielding the surface against spills and stains. If you have a new rug, it is a very wise move to ask us to treat it for you. The professional products we use are 100% child and pet-friendly. In fact, those with children and pets – and the mess that accompanies them – particularly gain from this service! If your rug has become discoloured, perhaps as a result of bleaching or damage carried out when trying to clean the rug yourself, ask us to re-colour it for you. Many off-the-shelf cleaning products react badly with dyes, particularly inks in hand-made rugs. To give you an overview of what the process entails, we use heat-set dyes on the affected fibres before heat-setting the freshly recoloured pile. Rugs that have suffered wear to the point where the white backing has become evident benefit from being re-coloured to recover them from their threadbare state. Moving house or refurbishing a property can be a stressful time. 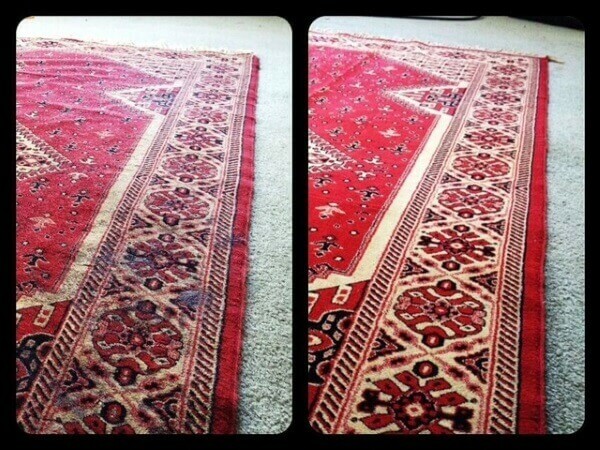 Allow us to take your rug(s) off your hands for you where we can look after it in a clean, safe environment. 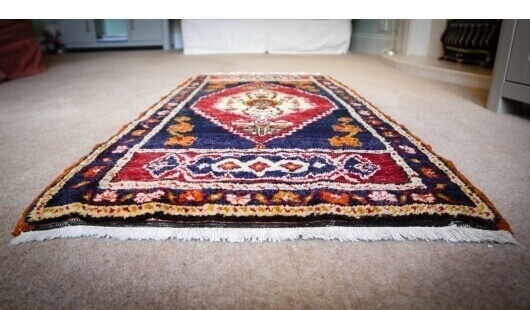 If you’re changing address, we can offer to collect the rug from your old property, clean and store it, before returning it to you at your new address. In such a busy time as a house move, we are glad to give you one less thing to worry about. Fresh, vibrant rugs, carpets and upholstery, house party-ready. What better way to start a new chapter?